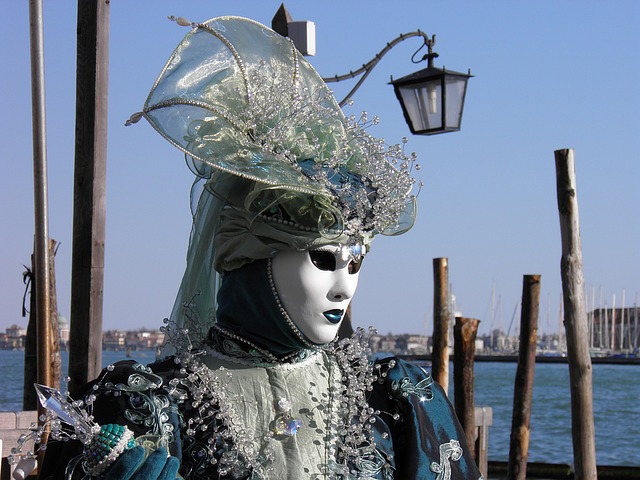 Seductive and mysterious, Carnevale in Venice is guaranteed to weave a magical spell around those who arrive for the two-week celebration. 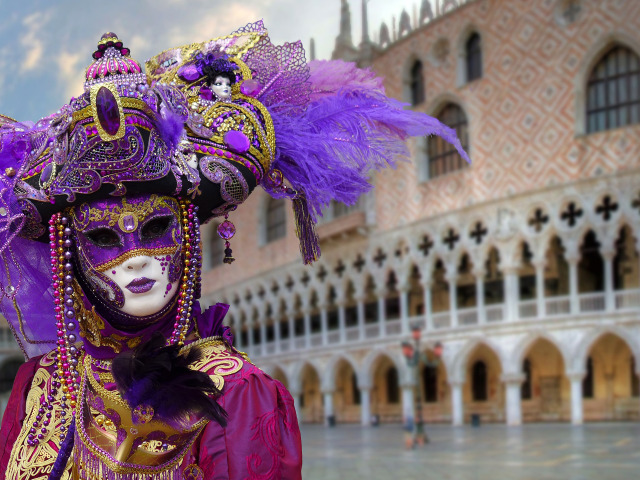 As you wander among the extravagantly costumed and masked revelers on St. Mark’s Square under a majestic moon, a spirit of romance and daring will become your guide for the evening. 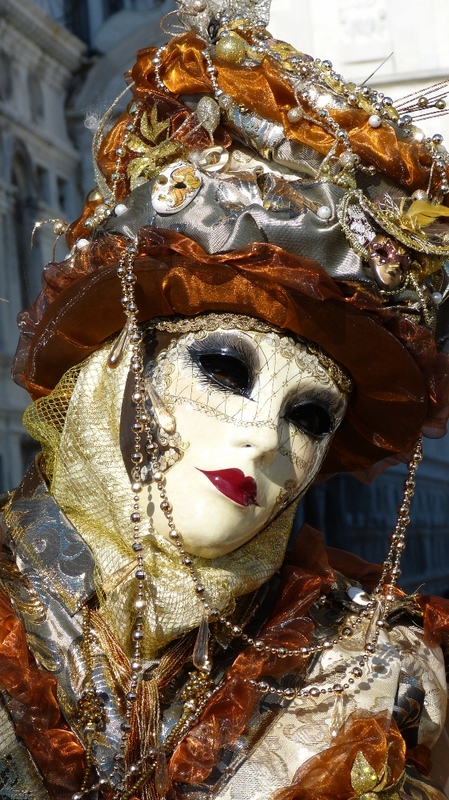 Carnevale is an annual festival held in Venice and is world famous for its elaborate masks. 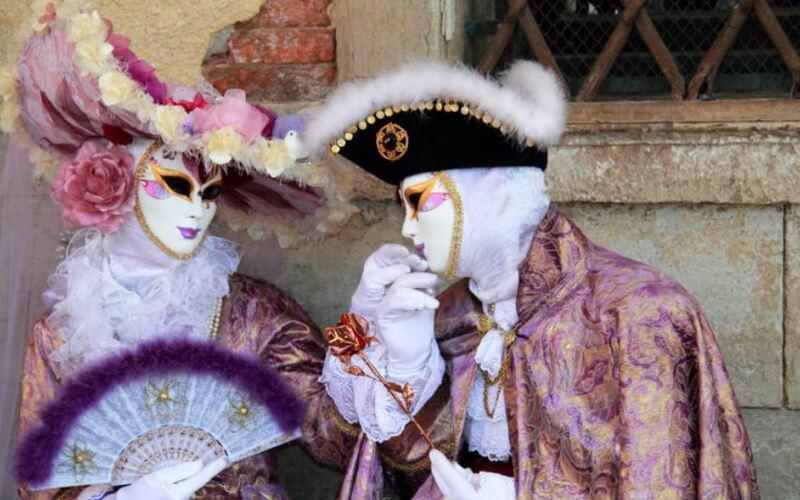 As Italy’s version of the Mardi Gras in New Orleans, over three million visitors attend the Carnevale of Venice each year, navigating through two weeks of street parties and cultural events throughout the city. St Mark’s Square is the epicenter of the action and the place to be. Imagine observing ‘The Flight of the Angel,’ while sipping on mulled wine or a Bellini cocktail. A traditional event that dates back to the Serenissima (Republic) period, an unknown guest of Venice flies by harness along a rope from the San Marco bell tower to the middle of the square where a throng of period costume participants welcome her. Extravagance and merrymaking fill the square and continue into the surrounding streets. Since the Venetian Republic’s victory over the Patriarch of Aquilea in 1162, mask wearing and celebration grew to become a popular event. It wasn’t until the 13th century that the first law regulating the use of masks was implemented. By the Renaissance, it had become a sumptuous and extravagant event, culminating in the 17th century. The use of masks gave the wearer power over concealment and revelation. They could be whoever they wanted to be with no inhibitions. 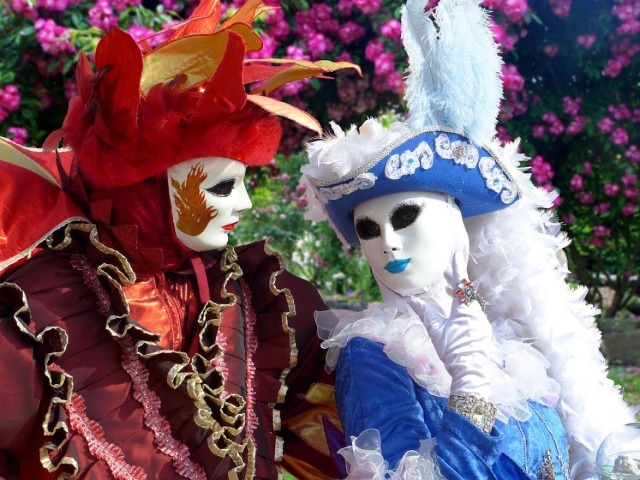 When Venice came under the rule of the King of Austria in 1797, the festival was outlawed. The wearing of masks became strictly forbidden. Local artisans, with the support of the Italian government, revived the lost art of mask making in 1979 in efforts to reinstate the history and culture of Venice. With the absence of mask making over a long period of time, much research went into finding and restoring the original styles and methods. The earliest masks were quite simple and grew to be much more elaborate with time. This year, the 2017 Carnevale will begin on February 11th and run until the 28th. 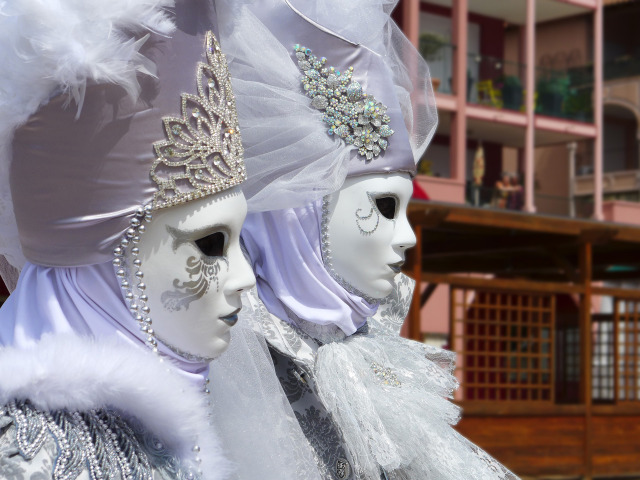 The Grand Opening will feature dancing, music and celebrations followed by two weeks of events, including a water parade, food and wine itineraries, best mask contests in St. Marks Square, best costume, exclusive masquerade balls. 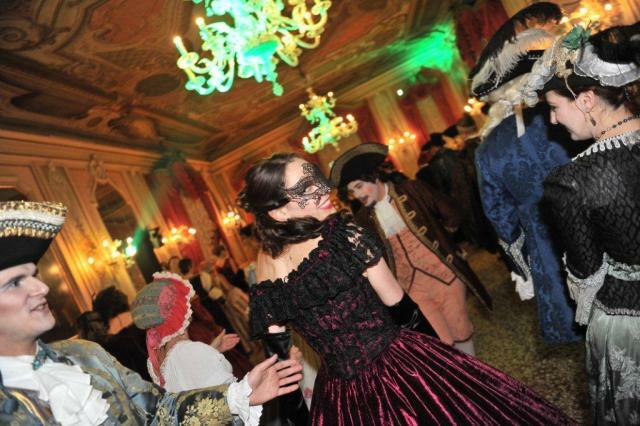 Although some of the balls are by invitation only, many of the hotels organize balls and parties as well. To attend one, a mask and costume are required. Ca’Macana, one of Venices authentic mask shops, has a great selection of masks for sale. Costumes are easily rented throughout the city. Atelier Flavia offers a wide selection of costumes for rent specific to each era (details below). 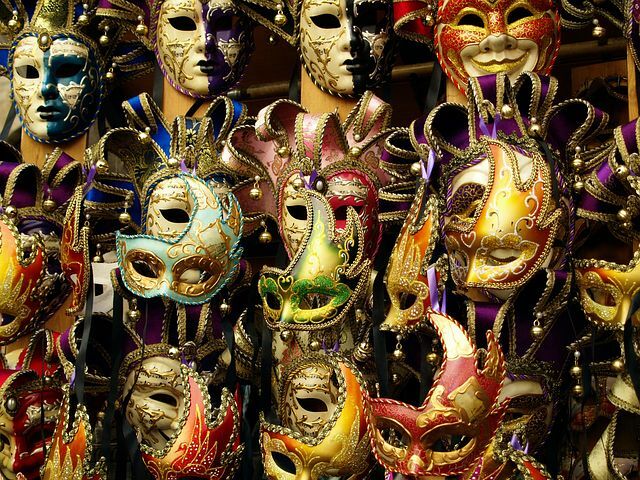 Or just simply enjoy Carnevale in the streets, cafes and squares. 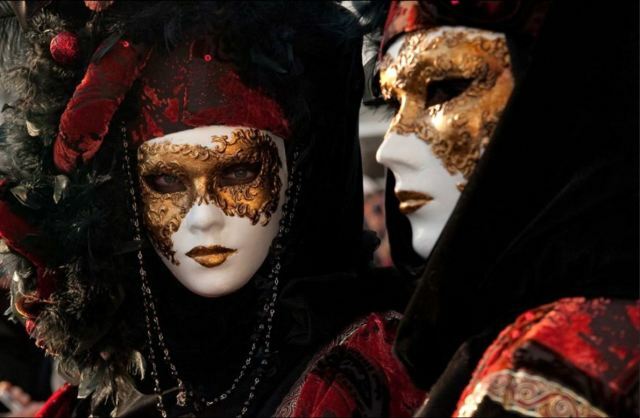 Expect cloaked and masked figures to whisk by as you navigate the sinister and winding streets of Venice. There is very little to protect you from imagination overload. Carnevale is an experience unique unto itself. Susan Nelson’s love for Italy began 15 years ago when she took a two week whirlwind tour of this lovely country. Since then she has been back many times only to fall more deeply in love with the culture, history, people and beauty of this country. You can most always find her in her home office researching and writing new articles that intrigue her about Italy. Follow Susan on her blog, Timeless Italy, Facebook, and Twitter. 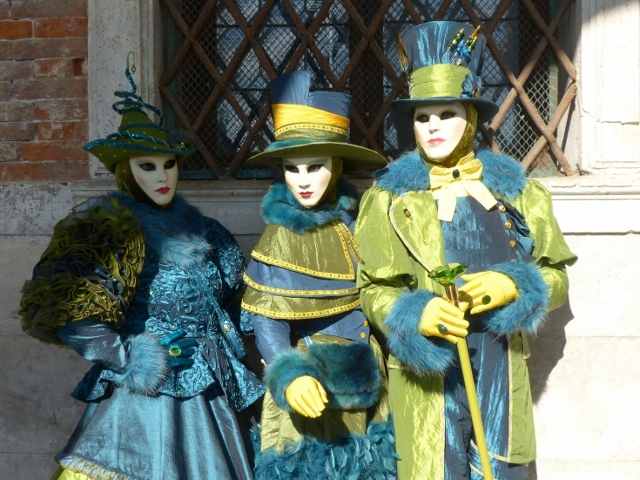 Concierge tip: Venice is more charming than ever at Carnival time! 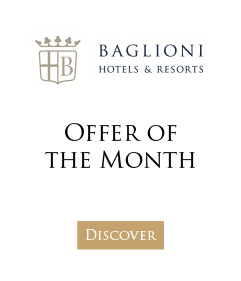 Ask your concierge at Baglioni Hotel Luna to help you find the perfect costume and mask for the Grand Carnival Ball, one of the most exclusive Carnival events in Venice.